1/3rd of semester is done already! Are these people asking the right question? Perhaps, but there might in fact be a more important question to ask in each of these situations. Pursue your passion, or go to college? Or can it be both? John’s advice for college students that might be struggling with anxiety and depression as they work to achieve goals? 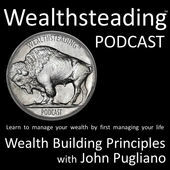 The Wealthsteading Podcast can be found in iTunes here.